Original Penguin Men's Short Sleeve Lightening Print Oxford, Dark Sapphire, Large | What Should I Say? 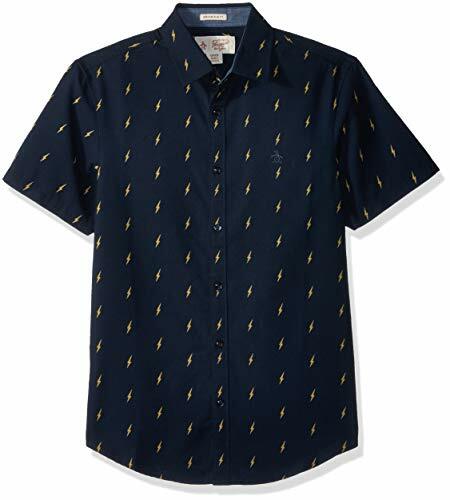 This lightning oxford print shirt will not only shock you, but it'll shock everyone around you, too. You see, that's just how powerful this shirt is with braided fabrication that's stood the test of time, a mini collar and super comfortable interior chambray fabric. So remember, be sure to pay this shirt a bit of extra respect as an original style.